Aries has a strange effect on you. When Mars and Pluto combine, the most important consequence is the appearance of frustration. Aries is a fire sign, and you are a water sign, and even if these two elements do not combine, it cannot be said with certainty that the relationship will fail. Just remember that there are problems, even more than you expected. 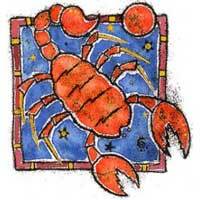 Aries will irritate you, however you agree with them in terms of independence and goal - achieving. Whatever you do, it will never be enough, and you will become irritated. 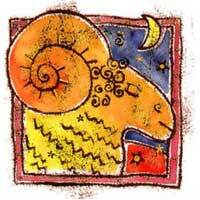 Aries influences aspects of work, health, ability to communicate with coworkers, and the will to rise above expectations. Alongside Aries you work hard, and you like it. This will not help you in a sensational way, but in a stable way, that you can rely on. Sometimes you will feel crowded, buried in the details, impatient and impulsive, ignoring the principles of logic. You both have a desire to be independent, both tend to dominate, and this can create problems. It takes a lot of diplomacy in a relationship with Aries, otherwise it will lead to conflicts, inevitably followed by separation. If you have the courage to surpass obstacles, with Aries you will successfully perform all the tasks that you are assigned, but it depends on the maturity of both of you. Worth trying, because there is attraction between you and the problems can be overcome.